Thanks for dropping by my blog today. 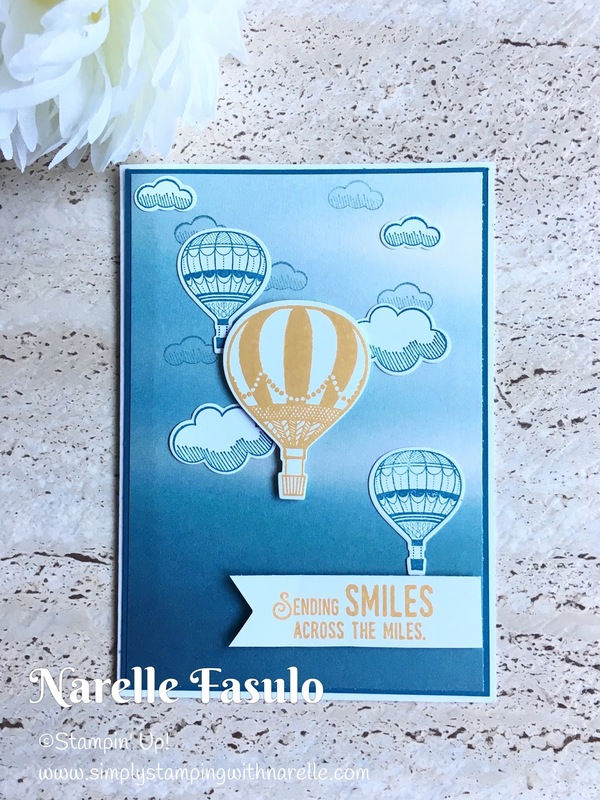 Today a whole group of us demonstrators are being highlighted by Kylie Bertucci on her blog.You can even vote for my project and the top winners will get to be part of an international bog hop. How exciting. So I would appreciate some loving by you voting on my project. You can do that HERE. The theme for this highlight is Travel. What places have you been and enjoyed, or what amazing places are on your bucket list. Hot air ballooning is on my bucket list, but first I need to pluck up a lot of courage to even consider making it happen. With that in mind, I made a card around that theme. Aren't these hot air balloons just gorgeous. 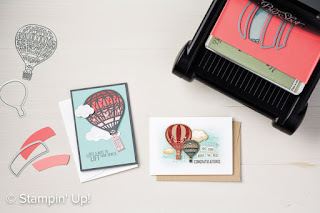 They are from the Lift Me Up stamp set. They were stamped on Whisper White and cut out using the Up & Away Thinlits Dies. Same with the clouds. You can get these as a bundle and save yourself 10%. Got to love a saving. The greeting is also from that set, but I used the Stampin' Trimmer and Paper Snips to cut that. Do you like the variegated and ombre look background? Well I will let you in on a secret. I didn't sponge it or anything like that. Oh no, it was so much more simpler than that. It's a piece of paper from the Serene Scenery Designer Series Paper Stack. Just perfect for this card and so quick and easy. If you live in Australia and want to purchase any of these items I have used on this card, then see the product list at the end. Each picture of the items will take you directly to that item in my online store. 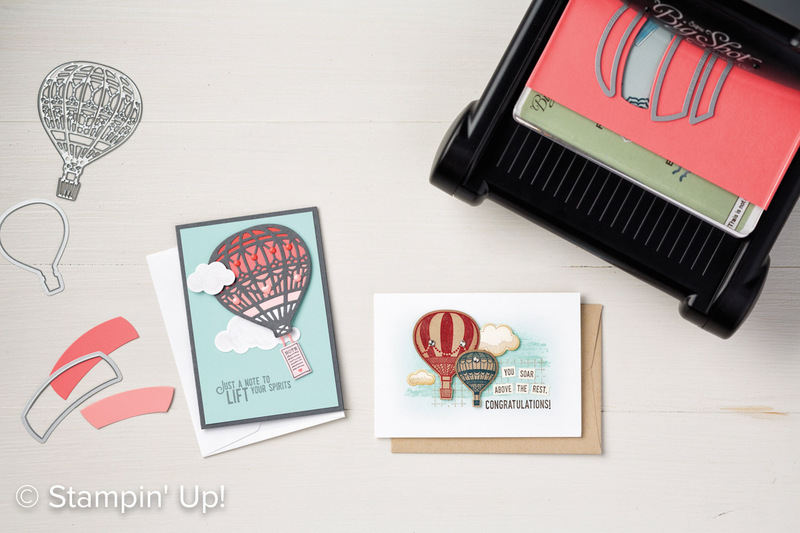 If you love this bundle and want more inspiration, then why not consider registering for my January Stamping By Mail Class. You get over $90 of product, 8 project kits with full instructions, access to exclusive videos and free postage. If this sounds like something you would love to do, then go HERE to learn more or click on the Register button below. Thanks for dropping by today. I would love for you to please vote for me HERE. It would be such a thrill to be chosen to do an international blog hop.